Once again, I’m obsessed. 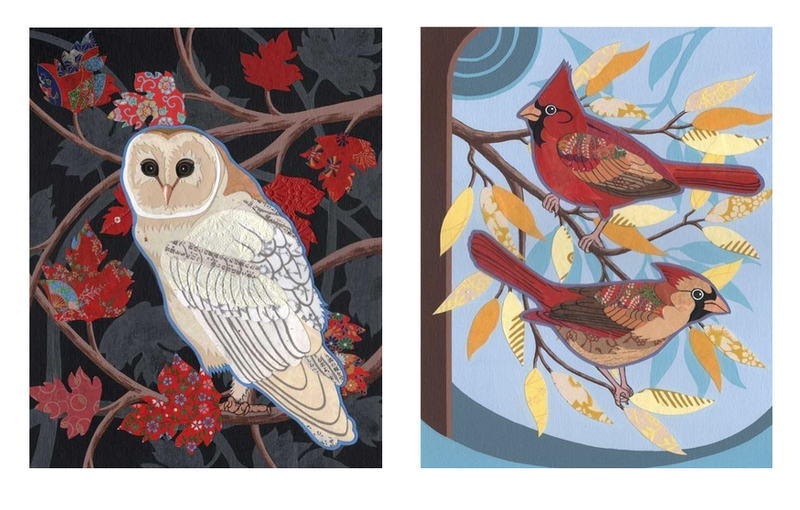 Bird Nerd is an Etsy seller whose wares include prints of original collages featuring — you guessed it — birds! I stumbled onto their site while I was looking for a graduation/housewarming gift for my sister. 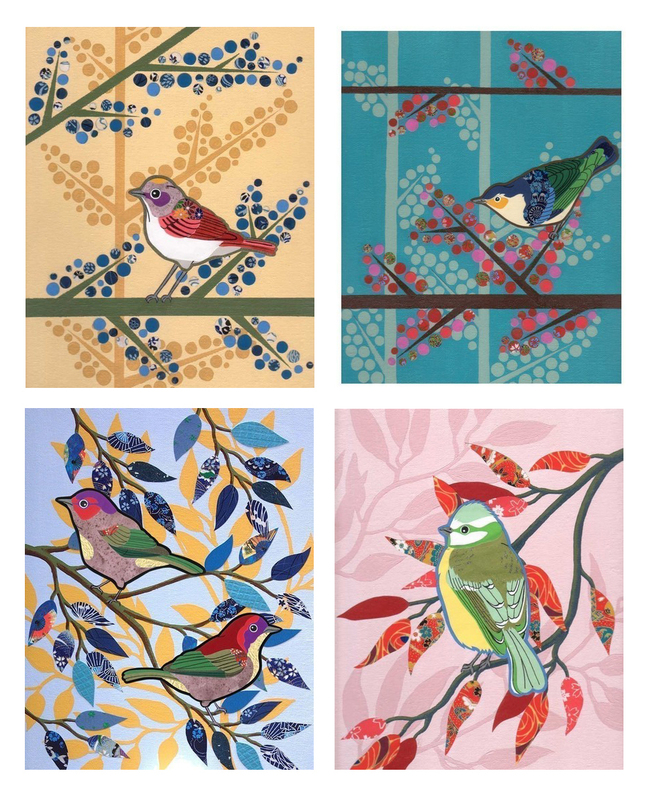 The prints’ bright colors and stylized birds caught my eye, and I love the different patterns, textures and layers used. For my sister’s gift, these two prints did just the trick. The owl represents Arkansas and the smart little owl she is for graduating from med school, and the cardinals represent her future in Ohio, where she’ll be doing her residency. Here they are all matted and framed. I loved these prints sooo much, and I was sooo tempted to keep them for myself. 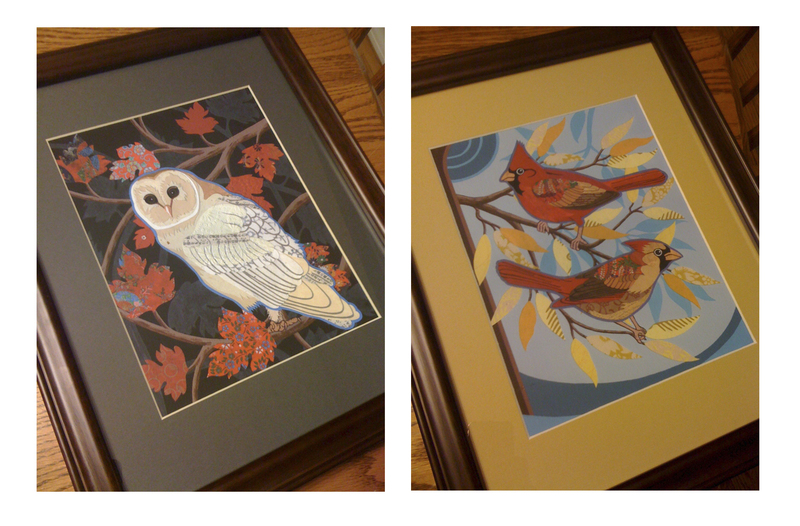 So, of course I’ve been plotting to get a set of my own and sailing around Bird Nerd’s site for what would look perfect on my walls. And this is what I’ve come up with! Do you love them as much as I do? I know exactly where on my walls this lovely collective could live– right next to our picture window that looks out onto our backyard where all the real birds hang out! 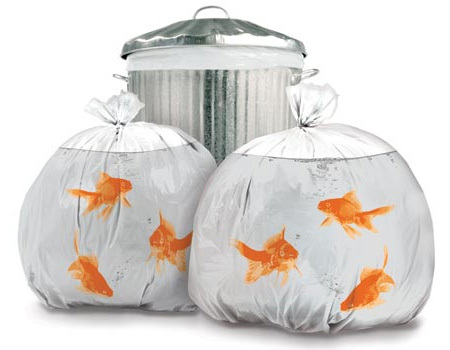 Browsing around on Inspire Me, Now!, I came across these clever trash bags that are 100% biodegradable from Perpetual Kid. Now, why didn’t I think of that? Amid all the twinkling lights and spectacle of Las Vegas, the sight I was most enamored with was the jellyfish tank at Mandalay Bay’s Shark Reef Aquarium. It was one of the most beautiful things I’ve ever seen. The colors were just so bright and beautiful– light and bright pinks and reds against dark blue. 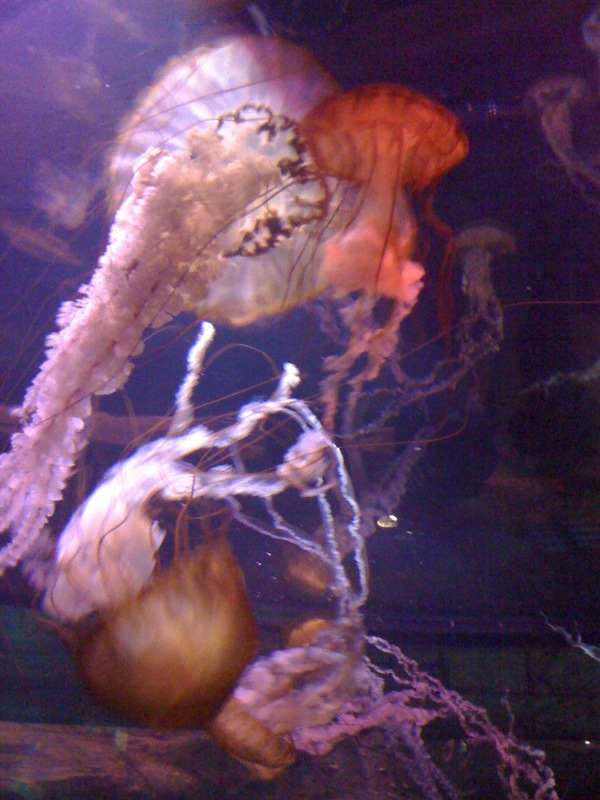 And the jellyfish themselves were so graceful, swirling about and putting on quite a show. I was captivated. Of course, photos don’t quite do it justice, but I tried.